AlliKat Quilts: I Have a New Quilting Friend! You may be wondering why the blog has been silent for a little over a week. 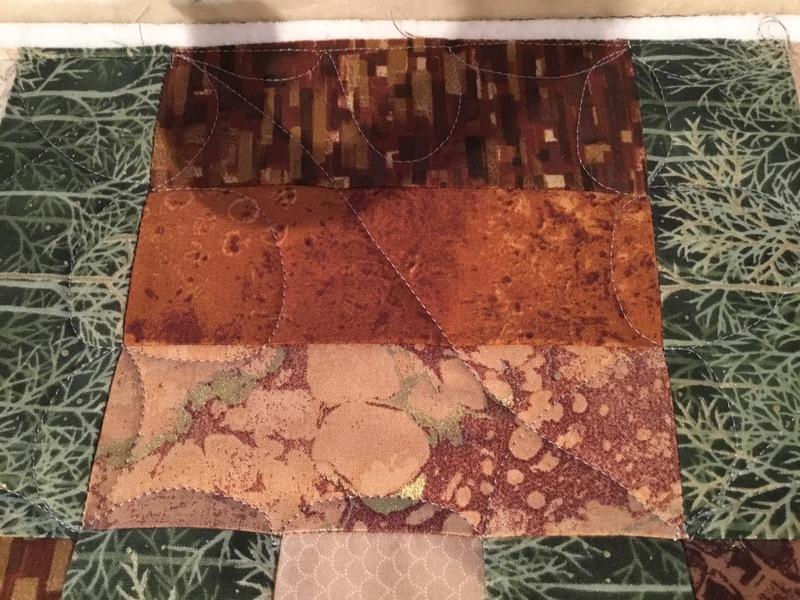 It's because I have a new retirement quilting friend and I have been getting to know them before introducing them. 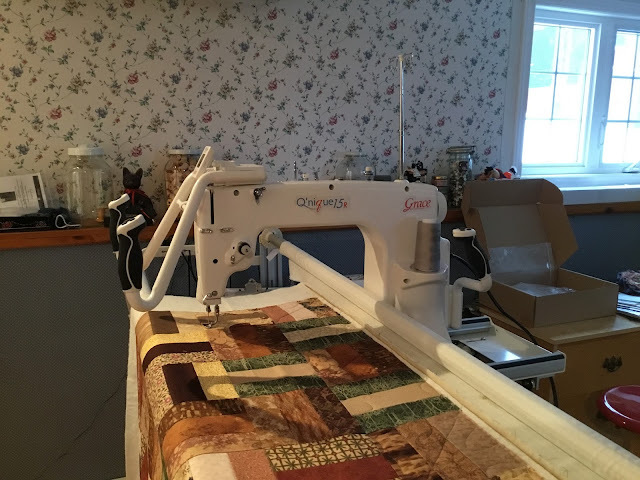 I have graduated from using my domestic sewing machine which has a ten inch throat space on my quilting frame to now using a Q'nique 15R mid-arm which has fifteen inches of throat space. 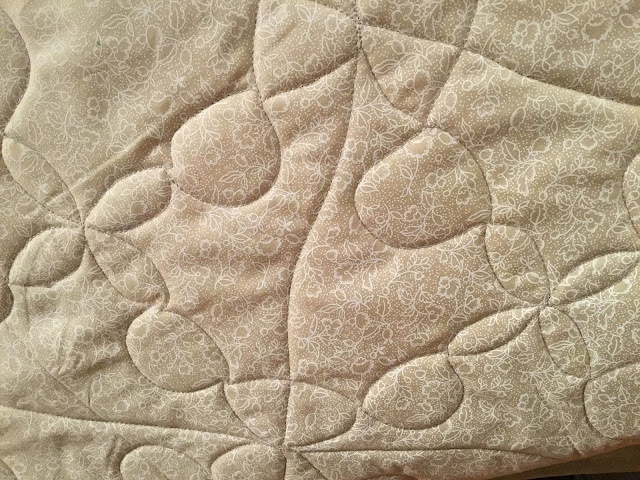 After you subtract the space taken up by rolling up the quilt, I could quilt a five inch pattern on my domestic sewing machine. Now I will be able to quilt a ten inch pattern. Double the space! Here is a picture of my new mid-arm. My first project is a Quilt of Valour that the Guild I belong to put together during a recent charity sew day. I am quilting it with free motion maple leaves by using the three strips of rail fence piecing to guide me. Here is what one looks like on a rail fence block. I can't show the whole quilt until after it gets revealed at the next Mayflower Quilters' Guild meeting on Thursday. I'm looking forward to lots of time using my new mid-arm! I didn't have to put in a second bobbin until I was on the last row of the quilt. Thank you Bryan for coming over last week on your day off to level my frame and help me get my mid-arm set up. Opie was lots of help too!